I don’t need to say much more, the title says it all, it’s the Enlightened’s fault! This tongue-in-cheek analysis of the Pokémon Go phenomenon draws a startling conclusion to what Niantec Labs and Google have been up to over the past 3 to 4 years. It points a finger, lays some blame and gives some cool hacking tips. So what is this all about? …. Well everyone has heard of Pokemon Go, at least anyone who has watched the news or just been outside in their neighborhood and observed the hordes of people strolling about staring at their phones, bumping into things etc. It’s called augmented reality and it has hit the streets big time. Players of these games must physically move about in the real world and interact with objects only visible on their devices, but located at GPS locations on Google maps. TIP for businesses: Smart businesses are capitalizing on the Pokémon Go foot traffic around their locations in creative ways. 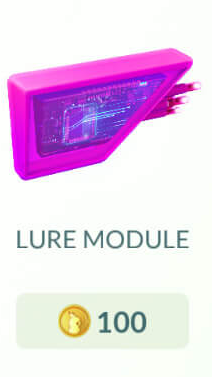 Pokémon player specials and welcome signs, use of Pokemon Lure modules (you can purchase pokecoins to buy these in the pokeshop and place them at a nearby Pokéstop outside of your business. They last for 30 mins for all players) Or give away Google Play or iTunes gift cards that players can use to buy Pokécoins so they can buy items in the Pokémon GO shop in-game. 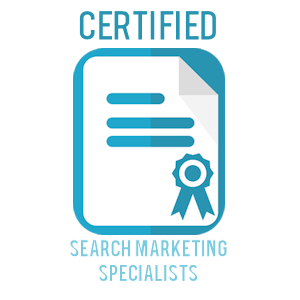 Forbes Inc. has an article on this and other ideas. Based off the popular Nintendo game from 1995 “Pokémon” is essentially a world in which humans, known as “Trainers” attempt to catch little fictional creatures called Pokémon and train them to battle each other. It is a weird concept, but darn popular. 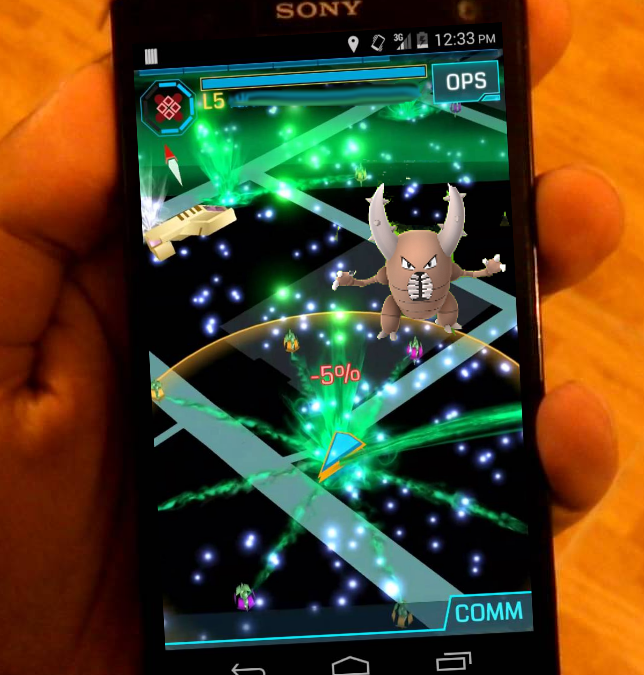 Pokémon Go was released on July 6, 2016 and it takes Pokémon to the next level by adding augmented reality ie. using real world interactions with virtual locations and objects on a real physical map. The players are the trainers and they have to visit interesting locations all over North America, Europe and Australia to find the critters and capture them in the Pokéballs. Other countries including Japan (which was supposed to launch today but has been delayed) and others will be coming online soon. You can read more on wikipedia about the countries banning or blocking the game. 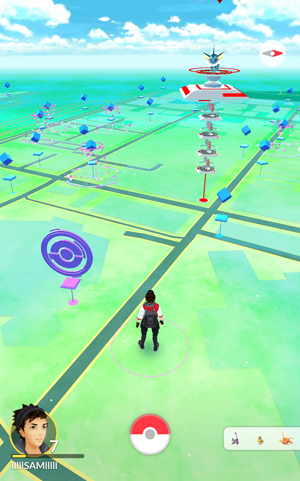 Players visit Pokéstops and gyms (for training) to gain pokeballs, eggs and experience. Similar to Ingress these locations are based on locations of interest like historical spots, art work sites, statues, memorials and more. Strange XM or exotic matter was showing up in cities across the globe which power the scanner of the Ingress app. Soon portals started popping up in cities all over the world. From Niantics own website “The Enlightened” seek to embrace the power that this energy may bestow upon us, While “The Resistance” struggle to defend, and protect what’s left of our humanity. 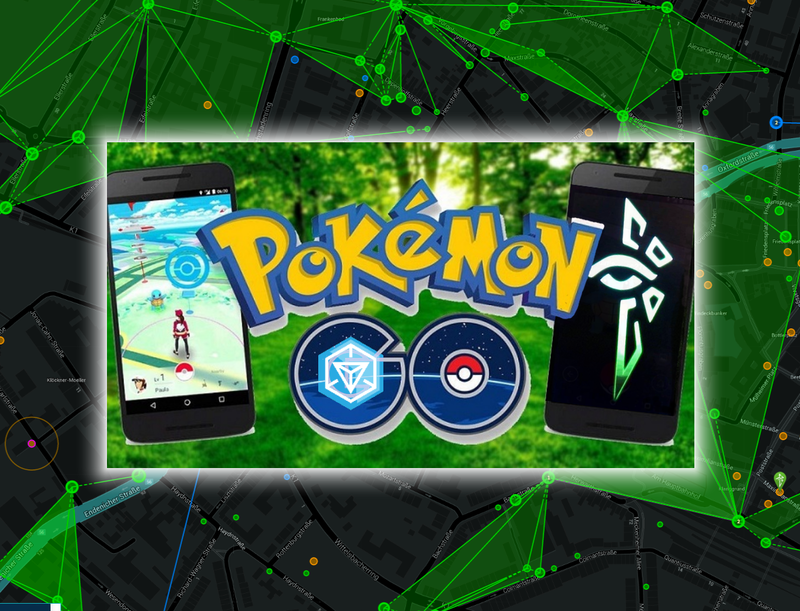 The good news is, you can use the Ingress Intel Map as a hack for finding Pokémon Stops and Gyms and use the Ingress app to locate large XM fields where Pokémon creatures, perhaps even the rare ones may appear. UPDATE: Ingress no longer allows you to submit portal locations as you used to be able to do in the Ingress app, so unfortunately unless there is a change, you can’t use Ingress as a way to build more Pokemon Go stops!